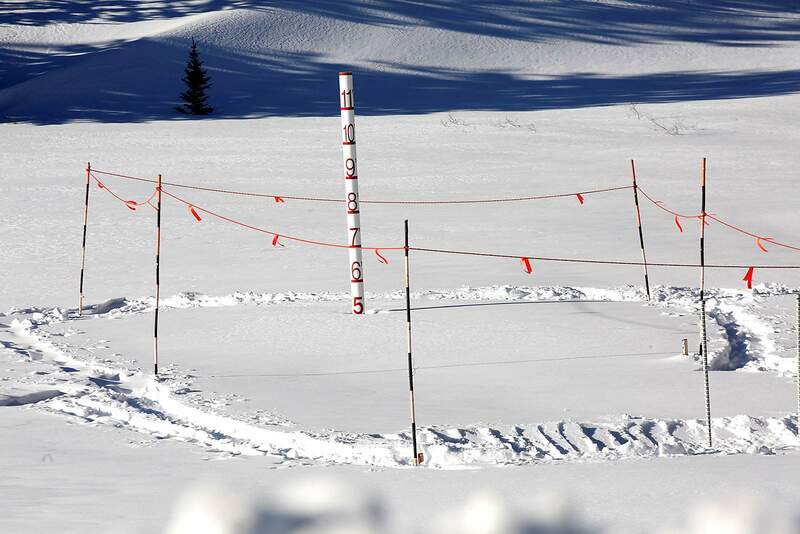 The snow depth pole next to U.S. Highway 550 on Molas Pass shows 5 feet of snow on Friday. Southwest Colorado should remain in the path of storms forming in the Pacific and moving through the region after first hitting the Pacific Northwest, California and the Sierra Nevada Mountains this week. A storm that could leave about 1 inch in Durango is expected to move in late Sunday night and extend through noon or the early afternoon on Monday, said Dennis Phillips, a meteorologist with the National Weather Service in Grand Junction. Snow amounts from the cell are also expected to be modest in the San Juan Mountains, and, as of noon Sunday, the weather service had not issued a hazardous weather watch for the passes in the San Juans. A snowstorm expected to hold more moisture is forecast to move in on Wednesday with the bulk of the storm likely to hit on Thursday, Phillips said. The storm Wednesday and Thursday, he said, “has a better tap into the Pacific” and is expected to bring more moisture than the storm earlier in the week. Highs in Durango on Wednesday and Thursday are expected to be in the 40s, and Phillips said the storm on those days is likely to be a rain-snow mix in Durango and lower elevations. The good news, he said, is recent storms have pushed the snowpack in Southwest Colorado to 102 percent of the 30-year average. Also, he said, as of Sunday, snowpack is 287 percent compared with the same date in 2018. But last year’s snowpack was among the weakest in decades. 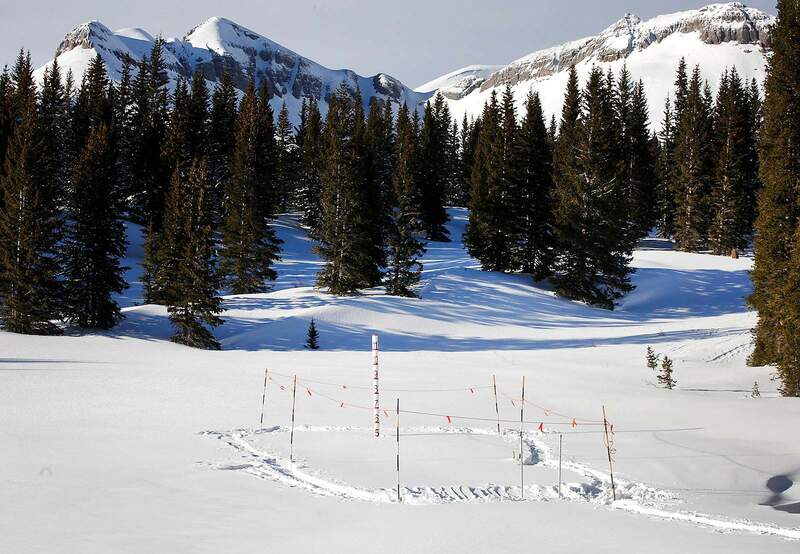 The Colorado Avalanche Center on Sunday rates the avalanche threat as moderate, a 2 on a-5 point scale, in the San Juan Mountains.